I’m in the National Geographic Traveller India – November Issue. Yes, I need to say it aloud often to believe it. 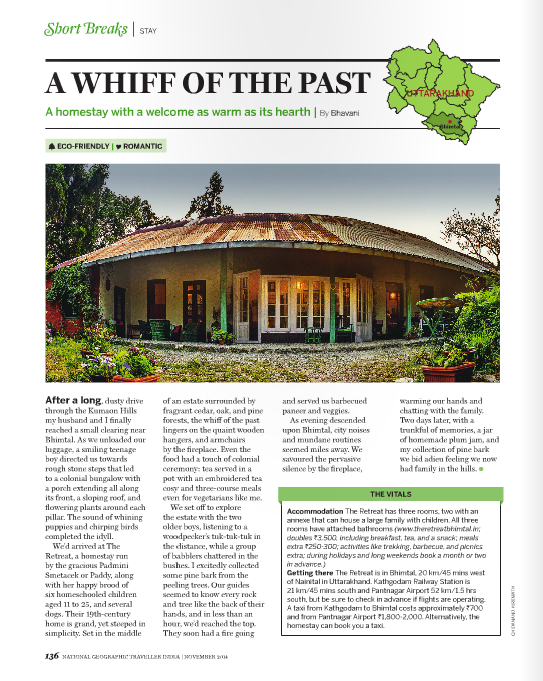 It might not be a big deal, but it is my first article in such a reputed travel magazine’s print edition. 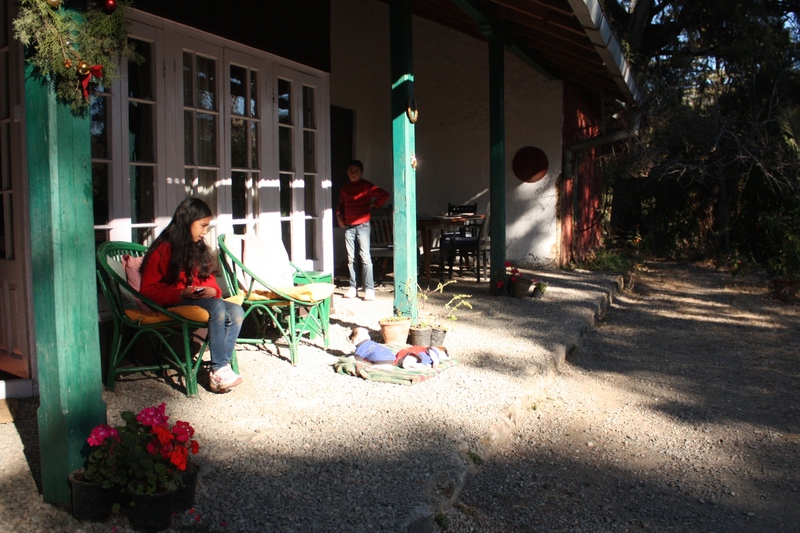 I have written about this homestay in Bhimtal, Kumaon region in the North of India. The article is tucked away in the ‘Stay’ Section. Needless to say I am super happy, and grinning ear to ear. I am sharing it here for all those who do not follow me on Facebook. Read it, and let me know what you think! And if it makes you want to go, for more details visit the website: The Retreat, Bhimtal. You whetted my appetite. I really want to go to Bhintal. hey, how can i contact you? email id? nothing on your website!